Southern Loggin’ Times’ September issue spotlights North Carolina’s Richard Williams, whose focus on safety, management and profit has earned his business recognition for its commitment to quality. Also featured are the West Virginia Grimes family, which is five generations strong, and Mississippi’s Dean Moore, who works for the things that matter—family and reputation. SLT compares and contrasts cutters in a Feller-Buncher Roundup, and Southern Stumpin’ highlights Alabama teachers learning about the industry. It’s called different things in different states. 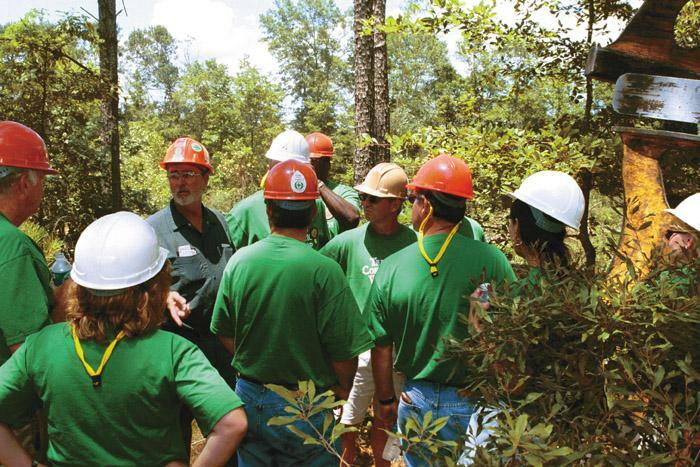 In Texas, it’s Teachers Conservation Institute; in North Carolina, it’s Sustainable Forestry Teachers’ Tour; and in Mississippi, Tennessee and Alabama, it’s Teachers Conservation Workshop. Whatever the title may be, their mission is identical: to give teachers a truthful insight into what goes on in the forest industry and natural resource management. Enduring for five generations, the progressive, three-crew Grimes family logging enterprise today has a different name and impressive new shop, but its commitment to quality, ethics and hard work remains the same. 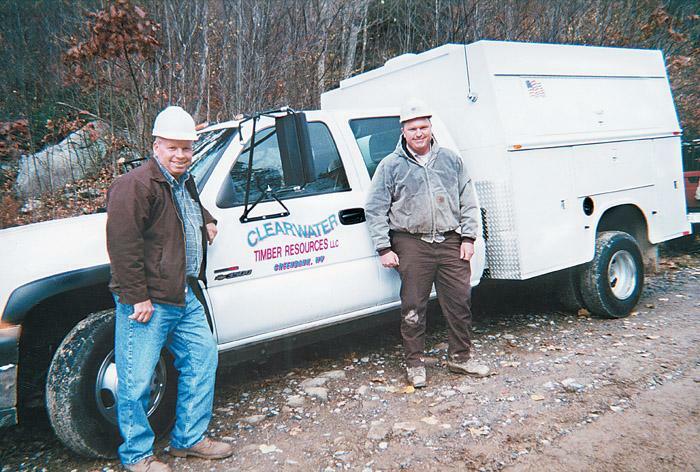 Currently operating as Clearwater Timber Resources LLC, the company’s principals, David Lynn Grimes, 52, and son David Lee Grimes, 32, are continuing the logging tradition started by Lynn’s great-grandfather, Sane Grimes. Dean Moore watches from the cab of his Deere 750 dozer as two four-wheel drive pickups come down the adjoining hill and begin the climb up the one he’s working atop. He takes a break from pushing limbs and tops away from a landing to speak with his visitors. Nortrax Territory Manager Donnie Cain and Belden location Branch Manager Jim Bryson shake hands with Moore and after some small talk, they start discussing business. 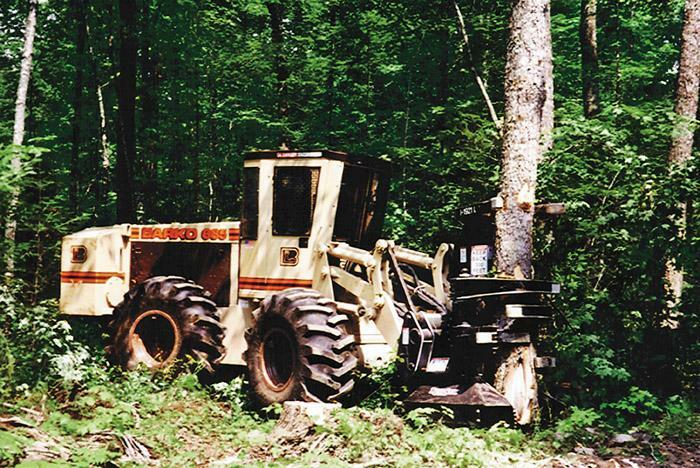 Barko has been manufacturing rubber tire feller-bunchers since 1985. After many years of offering one model, the 775, the company recently designed three distinct models to cover the majority of applications for rubber tired machines. The model 685 was designed with the thinning contractor in mind. It is agile and fast with 45° articulation in each direction. 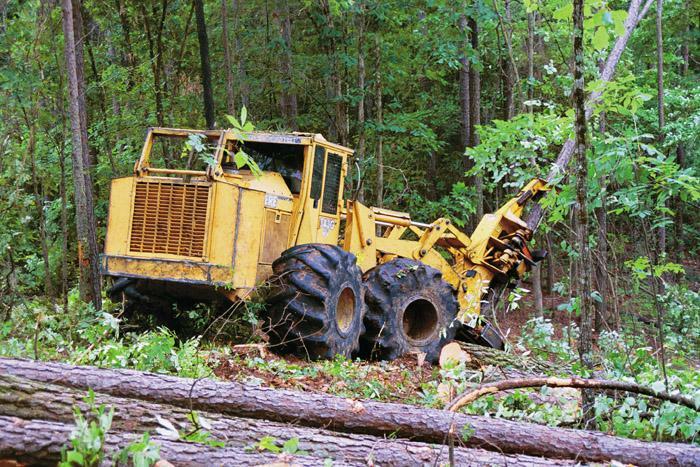 A new and distinct logging industry exhibition will be launched next year by Hatton-Brown Publishers, Inc., parent company of Southern Loggin’ Times and Timber Harvesting. Described as a national event with regional flavor, the All American Loggin’ Demo is scheduled May 30-31 near Tuscaloosa, Ala. Among other things, the Friday-Saturday show will include live and static product displays, several contests, educational seminars, kids activities and an off-site country music concert to benefit Log A Load For Kids. Blount, Inc. announces the development of the new Prentice skidder line with the introduction of the first model, the Prentice 490. The Prentice 490 is a single arch model with a 6BTA-173HP Cummins power plant that drives a torque converter transmission with 6 forward and 3 reverse gears. The Prentice 490 comes with a rugged delimbing grate and a choice of bunching or sorting head grapples.